Attorney Avita M. Samaroo practices Personal Injury Law at Samaroo Law. Mrs. Samaroo helps her clients through difficult periods in their lives with compassionate yet assertive advocacy. She utilizes her diverse experience, analytical know-how and creativity to unwind complex personal injury cases which ultimately allows her clients to receive the true value for their injuries. 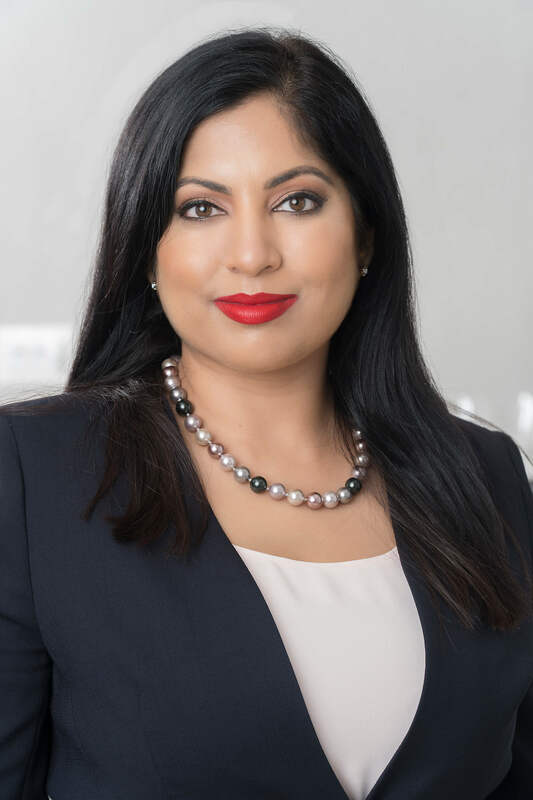 Mrs. Samaroo is an active member of the Central Florida Women Lawyers Association, the American Bar Association and she is a Florida Supreme Court Certified Mediator. She currently sits on the board for the Greater Orlando Asian American Bar Association. Mrs. Samaroo was raised in Southwest Orlando where she currently lives with her husband and two children. She earned a Bachelor of Fine Arts from the University of South Florida and a Masters in Business Administration in Marketing Management from the University of Tampa. Mrs. Samaroo worked for a Chicago based real estate developer, for several years, fine tuning her business and marketing skills, before pursuing her passion for the law. Mrs. Samaroo graduated from Barry University School of Law with distinction. She earned the highest grade honors in Evidence, Property II, Environmental Law, Jurisprudence, and Justice. She was also an active member of Barry’s prestigious Moot Court Honors Board where she had the distinct privilege of arguing before the Honorable Justice Don R. Willett of the Supreme Court of Texas. Mrs. Samaroo was selected by her law school to be their Orange County Bar Association’s Young Lawyer’s liaison and was chosen for a coveted student seat at the George C. Young Inn of Court. Mrs. Samaroo interned with the Office of the Federal Defender’s in the Middle District of Florida, where she gained invaluable federal experience. She also served as Legal Intern to the Honorable Patricia Doherty of the Ninth Judicial Circuit of Florida. This experience provided Mrs. Samaroo with a unique view from behind the bench providing insight on how cases are properly presented to the Court and what Judges expect from attorneys practicing in their courtroom. Immediately after taking the Bar Exam, Mrs. Samaroo accepted a position with a Longwood civil litigation firm, where she developed a passion for personal injury work. She went on to accept a position at NeJame Law where she handled a wide variety of cases including those involving catastrophic injuries. After working there for several years, she founded Samaroo Law. Listen carefully to their goals, provide a candid, practical assessment of the case and potential outcomes and develop a plan of action tailored specifically to reaching their goals. Consider innovative methods for resolving challenging issues, take decisive steps to move the case forward toward resolution and handle the case with integrity and professionalism. Under Florida law, victims of injuries caused by negligence or wrongdoing have legal rights. However, you must act within a limited time to pursue a claim for compensation. We will investigate your case, gather evidence, interact with insurance companies and help you secure the money you need after an accident. If you have been injured or suffered the loss of a loved one in an accident, you may be experiencing with financial fears, physical pain and uncertainty about the future. If your injury or your family member’s death resulted from negligence, Samaroo Law can help. How Can I Pursue a Claim for Damages After an Injury? After an injury, you can obtain monetary damages by litigating your case in court or settling your claim. If you accept a settlement offer of a set amount of money, you give up your right to pursue a lawsuit against that party. If your case goes to trial, you must prove the other party failed to fulfill a legal obligation and that your serious injuries were caused by this failure. Samaroo Law’s personal injury attorney will help you gather evidence and devise a strategy to meet your burden of proof. What are my Rights After a Personal Injury? After a personal injury, you have the right to recover compensation from any person, company or government entity that caused your injuries. In order to recover monetary damages, you must prove negligence and a breach of legal duty. Our diverse, multilingual team can is prepared to assist you. We speak Spanish, Portuguese, Hindi, and Urdi!